Howl’s this! 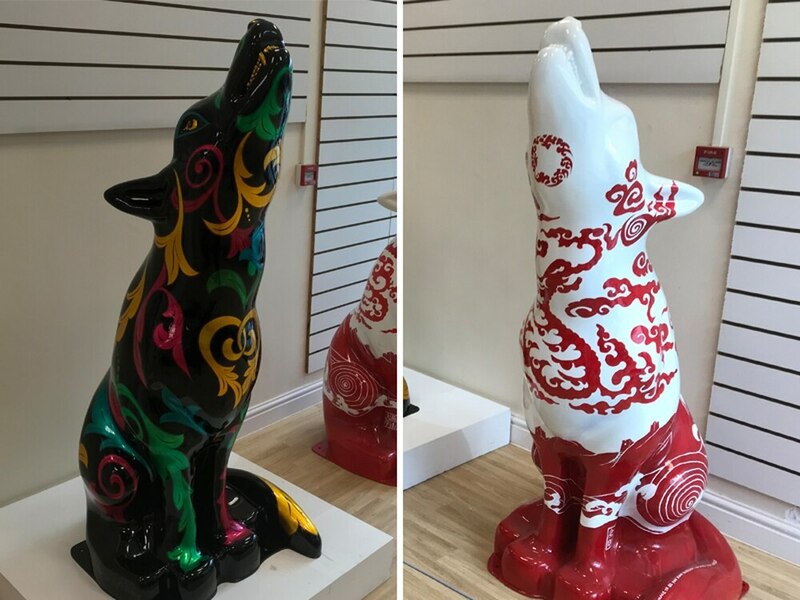 Two new Wolves in Wolves have appeared in the city centre and they are looking fang-tastic! One of the new sculptures is called Professor Heinz Wolff while the name of the other remains a mystery. A third wolf is also being completed to add to the 30 that formed the Wolves in Wolves trail last year. 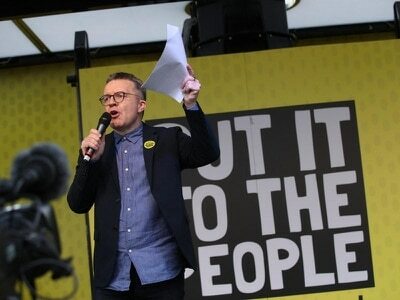 They can be seen by passers-by in a pop-up shop in the Wulfrun Centre in a unit opposite Iceland. 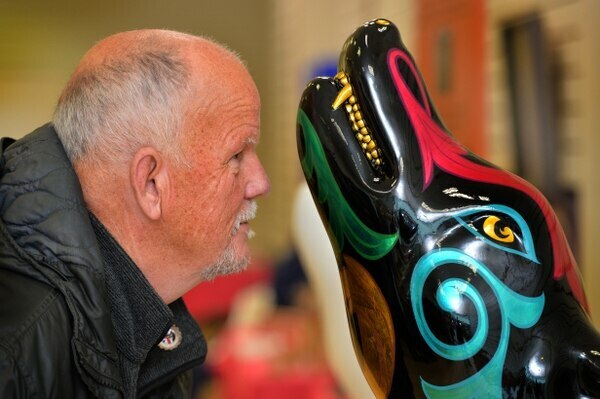 The Wolves in Wolves were dotted around Wolverhampton last year as part of the city’s biggest ever open-air art exhibition, with many of the wolves auctioned off at the end. One of the new sculptures has been dubbed Professor Heinz Wolff in tribute to the German-born scientist, who died aged 89 last December. Artist Meg Gregory said: “Professor Heinz Wolff was a twinkly-eyed, live-wired, mad-haired and inspirational inventor and engineer, who I had the pleasure and honour of meeting once when I was about 16. "Many people may remember him from a programme he presented called The Great Egg Race, where he set interesting engineering challenges for teams to solve. The other wolf has been decorated in red and white while a third remains unpainted. It follows the unveiling of an updated version of The Fallen wolf to commemorate the 100th anniversary of the end of the First World War.